A Vegas Girl at Heart: Not good enough. I don’t like to post a lot of personal feelings on this blog anymore, as I try to keep things lighthearted and craft-related as much as possible. But my blog is my outlet and sometimes, I just need to talk. What a wonderful thing to hear. Especially as I consistently feel that I’m doing everything completely wrong. That I’m just not good enough. I’m the mom that had a c-section (and would choose it again in a heartbeat), the mom who chose not to breastfeed, the mom who had her child sleep in his own crib from a month on. The one who turned her child forward facing when he was 15 months old, who lets her son watch a lot of Super Why on TV, and the one who puts her son in daycare. I go on trips without my son (and enjoy the time immensely, even if I miss him like crazy). I use disposable diapers, and pacifiers. I choose Easy Mac and Campbell's soup over organic fruits and veggies. Austin is a smart, happy child. He’s already potty training at 22 months. He spells out words, and counts, and talks up a storm. He knows how to share toys and play with others well. He converses with us. He remembers and memorizes everything anyone tells him. He’s wonderful. But I still am reminded constantly how I’m just not good enough. There are blogs by people who I consider friends that post about all the negatives of the things that I chose. That hurts, to hear that your friend thinks that you’re doing a bad job. There’s online communities filled with other moms that rip each other apart because they want some adult time or they don’t have their child sleep in the same room. I have actually even had people put me down because I enjoyed the birthing class my hospital gave. I’m not ashamed of my choices, at least, I don’t feel ashamed, in fact, I’m proud to stand by what I chose. I’m not going to change things. I am happy to tell anyone about what works for us (which doesn’t work for every child or family). But sometimes I get the impression that I should be ashamed. When all you see online is how you’re not doing things the “best” way, it’s hard not to be bothered by that. I wish we could all embrace each other, as moms. We're all doing the best we can. Those choices are different for different moms and different families. Oh the potty training was such a fluke, I wasn't expecting to even try until 2.5 years. I just sat him on it during the blizzard and he went and then said "all done." So we just kept trying, and daycare helps with that too - they will bring him in to go several times during the day (and if he starts asking for it, then when he asks). Still goes in his diaper though! Melissa, you love your son and that is what makes you an amazing mother. I breastfed my kids, but also formula fed my second and third. I stopped breastfeeding my first at 13 mos, my second at 3 mos, and my third at just 5 weeks. As babies, none of them were ever sick. They are all happy and healthy and smart. I chose Gerber over organic. Still do. I vaccinate. I let my 18 mos old son watch tons of Super Why and Dora and Blue's Clues. But I also work with him on his speech. As I do with my 3 year old. I stay home. I am never away from them, except for my 7 year old who is in school. I am told on a daily basis that I don't really love my kids because I formula fed and vaccinate. That I have poisoned my children. That because I don't give them organic foods, I am condemning them to a shorter life. The one that I love is that I'm a bad mom because I do not have my 18 mos old and my 3 year old still hanging off my breasts. I have never and will never tell another woman that I think she is doing it wrong. I feel like I am doing a crappy job sometimes and it doesn't help to have people like that say those things. Your true friends will stand by you no matter what. They will understand that we are all different and different things work for our kids. I may not agree with the way one of my friends raises her kids, but I will never tell her that she is wrong because of it. We are stereotyped and judged because we are women, we don't need it as mothers as well. We need to stand by each other as women and mothers, not bring each other down. And any mother who tells you that she doesn't want to rip her hair out when she can't get away for a minute, is lying :) We all need a break from our kids now and then to just be a woman. I am so happy to have come across this post today. Thank you for sharing. Thank you so much for this comment. It's filled with everything I've been feeling. Really, from the bottom of my heart, thank you. Amen! First time commenter but felt compelled to say yes, you are not alone. I love taking trips alone and also had two c-sections (the first a fluke, the second totally planned). I work. I love my girls, but I'm also an introvert so I treasure my alone time after they go to bed. Thanks for saying what a lot of us are thinking. Welcome! :) Thank you for commenting. I definitely treasure the time after Austin goes to bed to unwind, get some stuff done, and think clearly. It's hard, sometimes, to even think when you have a child repeating things over and over at you! :) (Not that I don't love it, but it is definitely exhausting being on constant alert). I'm with Alissa - first time commenter, but I'm with you 100%. Reading your post was like reading my own life. I did all those things and at times I would feel like I was not a good mom. I have a very happy healthy 4 year old daughter and I would not change a thing. Just like what you said what works for you may not work for others. As a mother you know what's right for you and your family! I've taken lots of trips/vacation, but honestly the first REAL vacation I had when my daughter was 2.5 and my husband and I went to Vegas for a long weekend. I enjoyed those 4 days so much! That was the BEST VACATION of my life. You are a great mom!! Love your blog! Mmmm....Vegas. :) I haven't been since I was pregnant (and I don't consider spending most of the sleeping in the hotel room much of a trip). I miss it! I went away this past weekend with Brad and it was THE BEST. To not have to have any responsibility (knowing Austin was well cared for and super happy at my mom's house) was just so refreshing. I had forgotten what it was like before Austin and the dog. I just wanted to add something, this really touched base for me! I am the same type of mom, the mom who gets tired so i take a nap and let my kids watch a movie, the mom who is not into tons of organic food so we do canned veggies, the mom who takes her kids out of school for a day at Disney because their grades are amazing. Sometimes I am even the mom who says "not right now I am too busy" then all of a sudden at 12am I the house is quiet and I am slowly heading to bed.. it is then I feel the guilt. The guilt that I am messing up and I could have stopped what I was doing for that 20 minutes whatever "it" was they wanted would have taken. It is the internet that is telling me.. "do this and stop and do that..." and then in my own mind between the guilt, and yelling at myself, and the shame that my time was more important it dawns on me... Wait I have gone literally sleepless nights from working to rushing out the parkinglot at 8am to see my kids play soccer. I have lost a huge portion of my weekends to traveling and staying in hotels to support my kids and their passion, soccer. We do a lot of family things-trips to big bear, disney, camping, bike rides, picnics, home game nights, home "fun nights" to paint pottery etc... I am ALLOWED to have my own time. I am allowed to say to my kids "hey buddy thanks for the 12th sticker in the last 7 minutes but I need to finish this, please" I am allowed to take vacations without my kids and brag about it on facebook. I am allowed my own passions and my naps and happiness. Because without it I am not happy and that eventually reflects upon my kids, they don't learn freedom, they don't learn how to be self sufficient, they don't appreciate the times I sacrifice for them because to them I am never sacrificing if I always drop everything to dote and accommodate them. 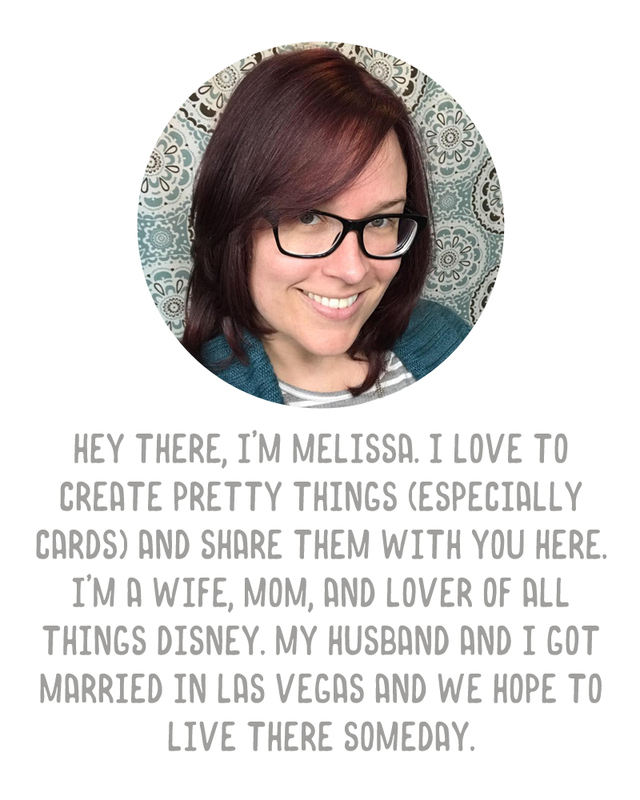 Melissa, I think we are very similar moms and this blog post was PERFECT for me and really made me think about things, thank you!!! Oh my gosh I love the "hey buddy thanks for the 12th sticker in the last 7 minutes" part! I cracked up. That's how Austin is right now. He's so young and just learning things and learning to talk and he does things over and over and over. Handing you a million objects, taking them back, then handing them to you again. Or telling you to "answer the phone" a zillion times after it's stopped ringing. I love it but at the same time, yep, it's exhausting! Hahah, thank you for your comment and for giving me a big chuckle! Our household is very similar. I did breastfeed my boys. Yes, it is good for them but we couldn't afford formula at the time so there was no other option than the free one. We try to eat healthy but there is plenty of mac & cheese in our diet. Being pregnant with our third child pb&j sandwiches is a common dinner item. I grocery shop alone and enjoy every minute of it. It's just our household/life and we're healthy and happy. If it's not broke, don't fix it. Melissa, your post really hit a nerve for me too as this is exactly how I feel. I get completely burned out through working 2 part time jobs and looking after my 1 and 3 yr old sons. This past weekend they spent 4 days at my parents. It was glorious, we spent time decluttering and sorting out bits of the house, but also enjoyed meals without the kids asking for help and just down time. I feel refreshed and therefore better equipped to look after the kids. We as women and mother's should unite not criticise each other! We are all unique and therefore see things differently from each other! Austin wouldn't want you any other way! That's awesome to have them hang with your parents (which I'm sure your parents loved!) and get some stuff done in the house. And yes, the meals. The first meal back after our weekend Brad looked at me and said "remember eating without having to attend to anyone's needs this weekend?" Hugs... Everyone does things differently and that should be fine shouldn't it. I wouldn't choose to do some things your family does and I am just as sure you wouldn't choose what we do as a family but that makes meeting people and getting to know new people fun. If we were all the same it would be boring! Oh Melissa, competitive parenting is never very nice is it? This is my first time commenting too (except maybe a thank you for a freebie) and I couldn't leave this one unanswered. You are not on your own. I did/do all of those things. I also chose to solo-parent - oh the guilt! But so far she is turning out to be an amazing 4 year old. As far as I can tell if you are doing the best you can, and you are raising a nice kid who is happy and healthy then you are doing everything just right. Hope you keep doing what you doing and keep being proud of yourself. Another first time commenter here (other than a quick 'thank you' for the freebies you share) and I just had to comment. After having our first child I quickly learned my motto would be "whatever works best for you and your family". I try hard to keep this in mind when I don't agree w/how someone is parenting. I tell this to my friends who are going through one of those moments b/c we've all been there. We need to support each other, not judge and criticize on how we think others should parent. I breastfed and used formula. We put our child in her crib in her own room from the beginning--we all slept better for it. I worked the first year of my daughter's life and dropped her off at an at-home child care. I, too, was "that parent" who went on vacation w/my husband and w/o our children. The kids were well cared for by my mom. It was good for us as a couple but also for the kids. My husband reminded me that they probably need a break from us just as much as we need a break from them. hahaha. I never thought of it like that, he's probably right! Thanks for putting yourself out there and sharing this post. Sounds like you're doing a terrific job parenting your son, keep it up! I agree, I think we slept so much better with Austin in his own room. We had him in his room for the first few weeks and we kept waking to his sounds, and he'd wake to ours. We all slept better once we moved him. And yeah, Austin LOVES being at my mom's house. His first reaction when he saw us after our long weekend away was "nooooo!" He didn't want to go home! I think you are doing great and I love your honesty. I wish more people would embrace their imperfections and their choices. I am one that went back to the beginning of your blog and read everything. I loved how you were honest about your pregnancy and not trying to make it out to be the most perfect experience you have ever encountered. Keep up the good work and try and not let other people affect how you feel about yourself and your choices. Your son seems to be thriving and that is what is important. I have a feeling this may be in response to a thread in one of my recent posts, and if so, so be it. I hope you know that I think you're an absolutely fantastic parent and that you're raising an incredible little boy. We may not think the same on a lot of issues (in fact, I think there's only one from what you posted with which I'm wholeheartedly in agreement :)), but I don't see you as less of a mother because of it. You're a strong, capable, independent person who makes her own decisions for herself and her family based on what's best for the same. Hi there. I wanted to add something from another angle. I have always been a bit of a perfectionist and this mom thing can eat you alive if you have those tendencies. When I had my first and then my second I desperately tired to breastfeed. My husband even pushed me but I was miserable. I will never forget what my mother said to me. She said, "You moms today are out of control with pushing yourselves and each other to do it all. You are doing a great job. You are working and doing all of the things that I did as a stay at home mom when you were little. You need to give yourself a break.". It felt so good to have her support. She didn't tell me what to do, but she gave me the ability to give myself a break. And I did. Now I pick and choose the things that I spend time on for the kids and for me. I'm much more balanced thanks to her advice. If we could all have a little more of that in our lives we would be so much better for it. I'm super lucky cause my husbands mother taught him about "mommy time.". When he was a kid she was a nurse and his father was in the air force with several long deployments. She would get a sitter and go away for the weekend for some alone time. My husband grew up understanding that moms need a break once in a while. I am forever grateful to her for teaching this to him. He totally gets it and never bats an eye when I need the morning or afternoon off. I'm so glad my children are learning this too. (he gets daddy time too - and goes hiking for about 10 days each year - hey, it goes both ways!). Thank you! Yup, he gets daddy time too - he usually hangs out at a friend's house one night a week. We also really try to give each other time "off" to do our respective hobbies while at home. I'll watch Austin while he goes to his workshop or he'll watch Austin while I finish a Project Life spread, whatever.